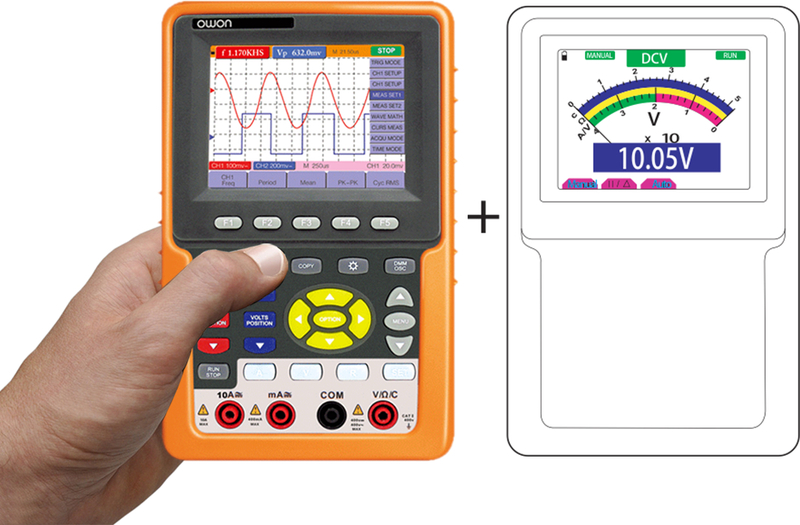 The OWON HDS1021M-N is not just a digital storage oscilloscope. It’s also a digital multimeter with an interesting simultaneous analogue and digital display mode. The bandwidth is 20 MHz. The sampling frequency is 100 MS/s. Range selection is automatic and the user has a choice of 18 measuring modes, which facilitates rapid faultfinding. 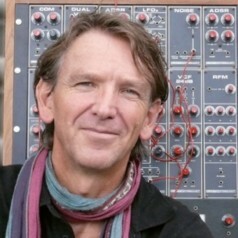 The average and maximum values of the waveform are detected at the choice of the user. In addition the trigger may be set for edge or video. The setting of the trigger threshold allows filtering of noise and the stabilisation of the image even in the presence of noise. There is also a two-channel version of this equipment with the model number HDS1022M-N.
A USB data interface permits storage of the measured results (in a choice of vector or bitmap form). This is an attractive feature for saving results for documentation or statistical analysis. So it seems logical that this equipment, with a large TFT LCD high resolution colour screen also offers a function for storing and reading waveforms. The screen has an exceptionally high contrast. The storage (of 6000 points) can be browsed with the aid of a cursor. The Time mode allows you to zoom in on a detail of the captured signal, or define a display window. The rechargeable Li-ion battery offers 6 hours of operation in the field. Several languages are available for the user interface. 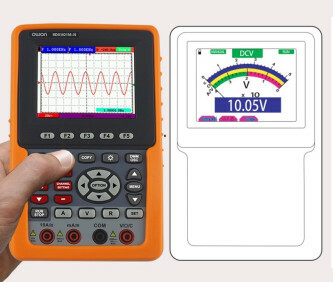 The digital multimeter has a 3-3/4 digit display. It measures voltage, current (20 A), resistance, diodes, capacitance and continuity. The oscilloscope inputs are electrically isolated from those of the multimeter. In the supplied user manual (77 pages) all the functions are abundantly illustrated. 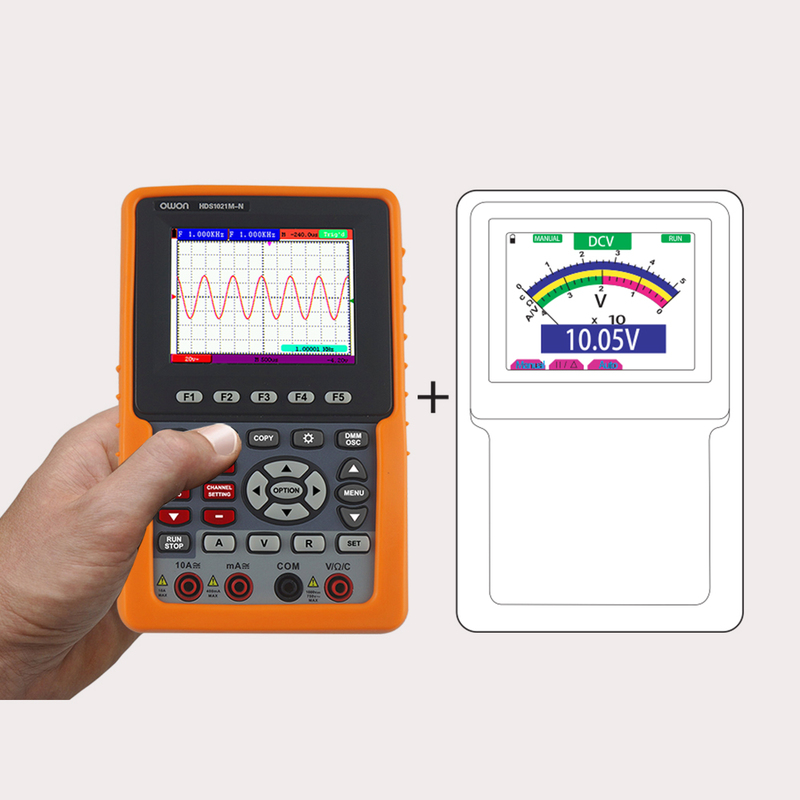 The equipment is supplied with a set of probes, a power adapter, an extension module for measuring current, a module for measuring low capacitance, a CD-ROM, a storage bag and a user manual.